To reduce the risk of fire or burns, do not crush, puncture or dispose of used batteries in fire or water. Recycle or dispose of used batteries properly. If the threads of the battery compartment cover are damaged, send your device to an authorized Suunto representative for service. 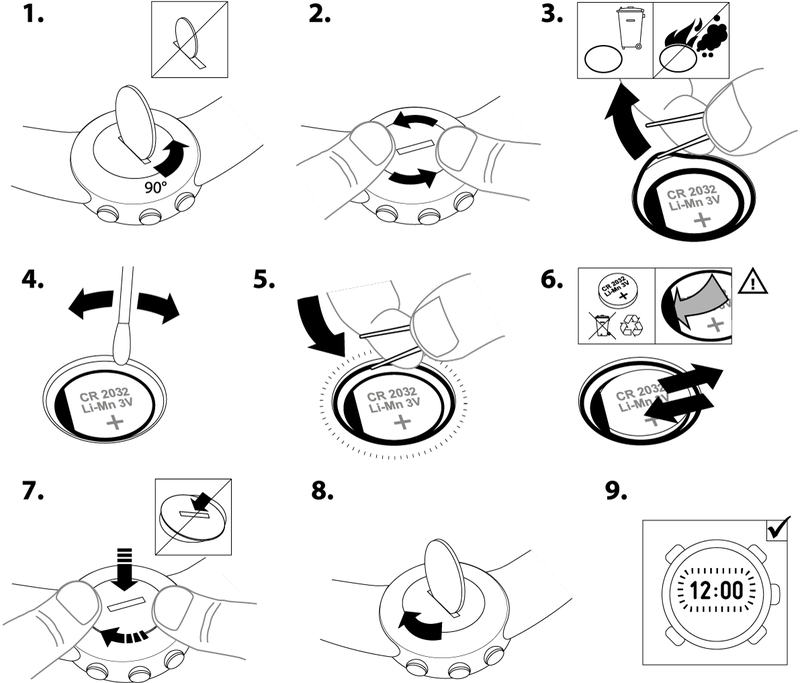 Suunto original battery replacement and strap kits must be used if available for your product. Kits are available at Suunto webshop and some authorized Suunto dealers. Not using these kits and careless battery replacement may void warranty.